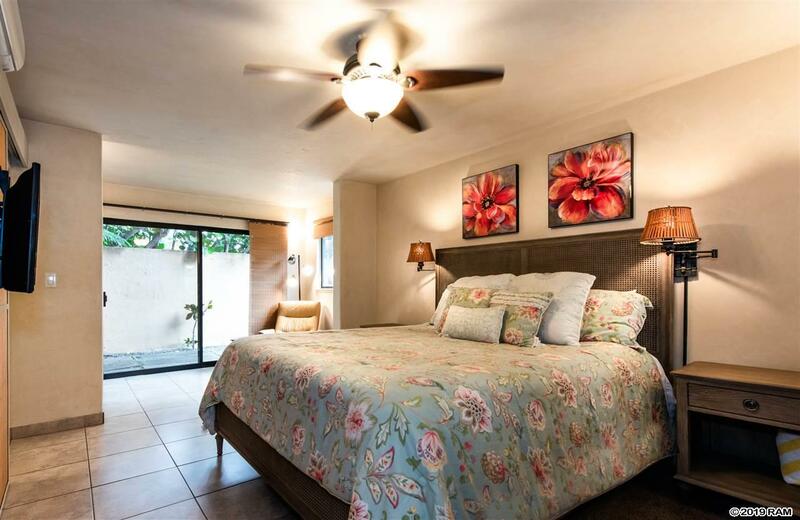 Beautifully updated 1 bedroom, 2 bath ground floor unit located in Wailea Ekahi. This unit was tastefully done with imperial plaster walls, tile throughout, bamboo closet doors, and plantation shutters. The open kitchen has granite counters and backsplash, stainless steel appliances, wood cabinets with glass inlay, and crown molding. 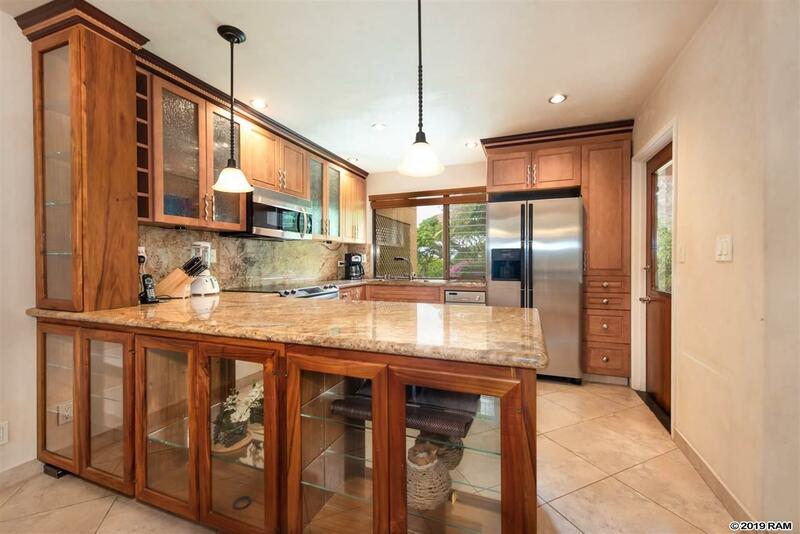 There is a murphy bed in the living room for extra guests and it leads out to a tiled lanai area with a BBQ. 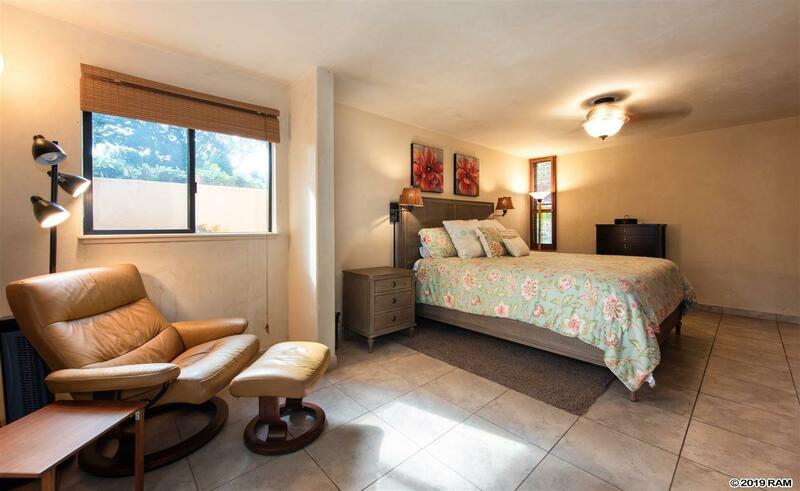 The expanded master bedroom has its own private lanai. The master bathroom has a wood vanity with marble sink and granite counter, and a tiled shower with bench. The 2nd bathroom has a jetted tub and granite counter tops. 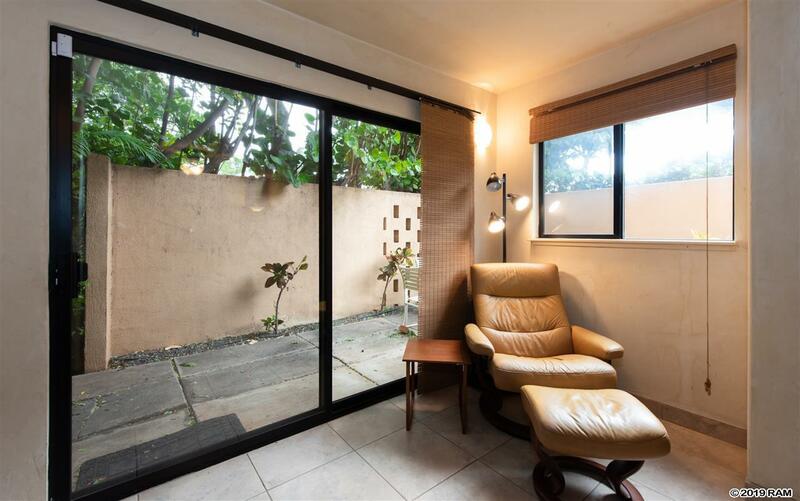 This unit is turnkey and comes fully furnished. Just a short stroll to the well-known Keawakapu Beach that is an excellent beach for swimming, snorkeling, and whale watching during the winter. Wailea Ekahi is a beachfront low-density property located at the entrance of the resort community of Wailea. Amenities include a beachfront pavilion with large pool, 3 additional swimming pool areas, BBQ, paddle tennis and shuffleboard courts, and tennis courts.